Our Fox stamp from the AirLift set was stamped in Ranger Archival Ink in Black. 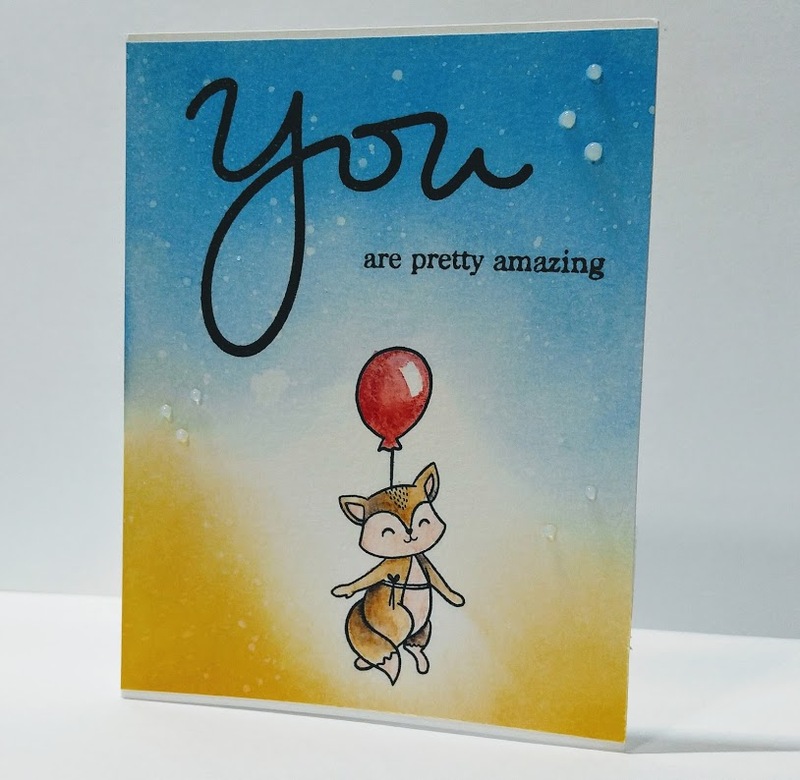 Dewent’s Inktense Watercolor Pencils were used to fill in the fox and the balloon. Distress Oxide Inks were used to create the sky, complete with water splatters. The entire card was sprayed with Perfect Pearls shimmer in a Mini-Mister. The sentiment is from the You set by Simon Says Stamp.